For this Educator Spotlight, we look to our friends in Malaysia. One of the pioneers to introduce early childhood music in Malaysia, Yeoh Sheau long and her sister, Yeoh Sheau in, first brought Kindermusik to Malaysia in 1994. 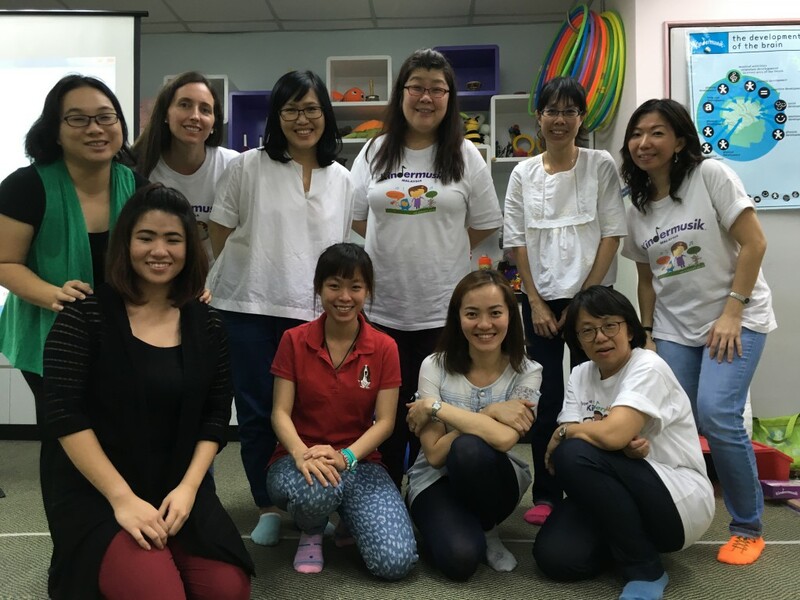 Kindermusik at SIM grew from two students in Yeoh Sheau in’s inaugural class to a program that today has 15 licensed educators teaching over 50 Kindermusik classes at 12 locations. Our interview today is with Yeoh Sheau long, lovingly know as Mrs. Teoh to her Kindermusik classes and described by her families as warm and cheerful, “like Cinderella’s fairy godmother.” It’s no wonder that Kindermusik International has recognized Kindermusik at SIM as a top program since 2003. We’re not sure how Yeoh Sheau long has time for her hobbies of reading, watching movies, and traveling, but we do know that you’re going to love getting to know this dynamic educator who has a heart of gold. TC: Your business has incredible reach, beyond just that of Kindermusik at SIM, right? YSL: Yes, in 2012, we took up the role of Kindermusik Malaysia; we started marketing the Kindermusik brand throughout the country and reached out to most of the states including eastern Malaysia (Borneo Island). We also have a mentor team of 5 experienced educators — Ms. Valeria Vieytes, Ms. CK Tang, Ms. Jenny Looi, Ms. Cheryl Lyn Uybarreta and myself — to train and guide our educators. We are very excited about organizing workshops, PKE and trainings for all Malaysian educators to inspire them to excel. TC: You have such a passion for music education. With what professional organizations do you serve, or have you served in the past? YSL: As a specialist music teacher, I have taught music lessons in Kindergartens, primary schools and secondary schools in Australia. Now, I teach piano and Kindermusik classes in the Selangor Institute of Music in Malaysia. As the VP of the school, I take care of the quality of music education in the institution as well as organizing world-class concerts and workshops in Malaysia to broaden the musical ear of the Malaysian community. I am also currently the committee member of International Kodaly Symposium 2019, ready to organize and host this symposium in Malaysia in 2019. I have presented complimentary sessions in Kodaly events to introduce the wonders of Kindermusik. Our team has many enthusiastic educators who are serving the less privileged community. Three of our mentors — Ms. Valeria Vieytes, Ms. CK Tang, Ms. Jenny Looi — are Maestros in Outreach. They volunteer to teach music and English at United Nations High Commission for Refugees (UNHCR) centers. TC: What do you feel has made your business such a success? YSL: Our striving and caring team! We already have an excellent product, so we focus on improving the quality of our operations team and our educators. We aim to serve and add value to every family we have the chance to connect with. I believe every team member must know the very strong, propelling WHY we are running this program – It makes us deliver high-quality teaching, add value while making a difference assisting families and children in the most fun and effective ways. TC: What are some of the goals you have for your business? YSL: With the role of Kindermusik Distributor in Malaysia, we wish to recruit passionate and quality candidates and assist them to become successful Kindermusik educators and Business Owners so they can reach out to many more families throughout Malaysia. We strive to provide a platform assisting Kindermusik Educators to realize their dreams and facilitating babies to grow and unleash their unique potential. With Kindermusik at SIM, we aim to mobilize our capabilities developed over the past 24 years to facilitate children becoming confident, focused and happy future adults. We target to have Kindermusik synonymous with early childhood music education. TC: What’s something new and exciting that’s happening with your business? YSL: We have recently been nominated in a contest to select the Top 10 favorite Music Classes for Kids in KL & Selangor states in Malaysia and we have been voted as the Number 1! We have also organized parental workshops for our parents to share “Why we do what we do in class”. The retention rate of the parents who attended the workshops has been 100% so far. Therefore, we are very excited that this year we are going to host this event once every two months and will also promote it for other Kindermusik studios in Malaysia! TC: I think I may know the answer, but I’ll ask anyway. What makes Kindermusik at SIM such a special place? YSL: We have a team of truly committed and caring educators and staff. We begin with an end in mind, we guide them all the way from early childhood music education to the completion of their instrumental training (Diploma level). TC: Here are two questions I love to ask the educators I interview. First, what’s your favorite Kindermusik song to sing? YSL: “Our Time Hello” I love to see how the little ones’ eyes sparkle with joy once we start the class with this song! It has the magic to transform the mood of the families, calm their worries and subsequently start to actively engage and interact with others in class! TC: And how about your favorite Kindermusik dance to lead? YSL: Kerry’s Ten-Penny Wash: The Virginia Reel. I find that, nowadays, parents with young children seldom have the chance to dance with other adults. While carrying out this dance, I enjoy watching the enthusiasm and engagement level of the adults while their little ones giggle happily while taking part in the dance. TC: What do you love most about teaching Kindermusik? YSL: The joy of watching children transform from timid, insecure little ones to happy, focused and confident future leaders. TC: If you had to name just one secret to success in the Kindermusik classroom, what would it be? YSL: Set high standards for yourself, memorize all songs so thoroughly that you can drive and sing the songs effortlessly, prepare every detail thoroughly, including what to say and how to say it, and then, teach with your heart! Aim for the sky so if you miss you still reach the trees. TC: What’s the most touching thing that’s ever happened to you as a Kindermusik teacher? YSL: I remember an incident some years back when a child of about eight years old walked into my classroom in between classes; the moment he looked at me I felt so bonded and connected. He then walked straight up to me and hugged me. After a few minutes, I saw his mom and realized he had been my student in my Village class since he was 3 weeks old to 17 months old. They had to migrate when he was 17 months and they came back to visit after 7 years. That moment of reunion left me speechless. TC: Tell me about a teaching experience or favorite Kindermusik family that has impacted you as a teacher. YSL: About 18 years ago, Aaron was a challenging child in my Village class. As a relatively new educator, with the amount of distraction in class, it was difficult for me to hold on and have a smooth class. I was really blessed that his mother, Denise, was a very patient angel. She was willing to try whatever ways or strategies I suggested when Aaron screamed, cried, or hit other babies. At last, Denise went outside the classroom every time it happened, calmed him down and came in again. The highest record was 18 times in a class! Now Aaron has grown up into a beautiful, kind and confident young adult. Although they had moved back to Munich, we still keep in touch. Denise has given me the inspiration to persevere and seek new solutions in my teaching in the following years. 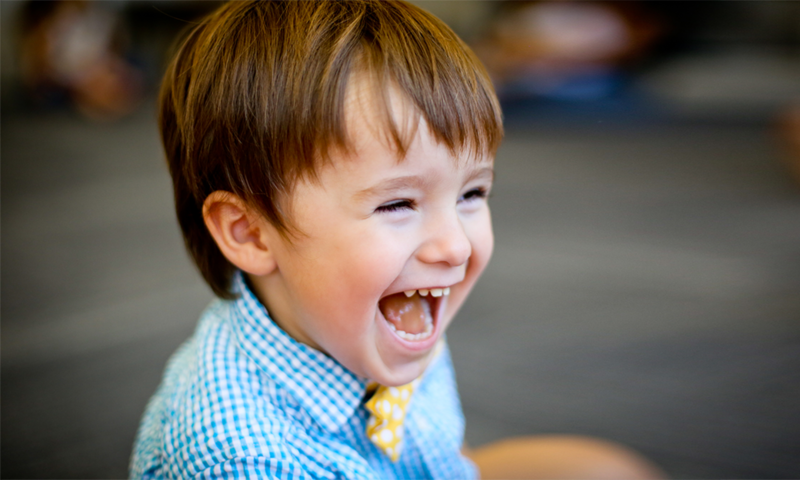 TC: If you could share one tip with a new Kindermusik educator, what would it be? YSL: Focus on touching the lives of the children, it is never about us, it should always be about how to make a difference to them. TC: What is your favorite inspirational quote? Interview by Theresa Case Kindermusik educator and director of Kindermusik at Piano Central Studios in Greenville, South Carolina. For more music, ideas, and fun, and to find a class near you, visit Kindermusik.com.